Did you know that people who opt in to your mobile apps push notifications are more likely to keep using your app? But since TechCrunch reports that smartphone users use on average 9 apps a day, and statistics show that most people who download your app will stop using it within 3 months, you need every trick in the book to keep them using your app instead of your competitors. 1 What are push notifications? 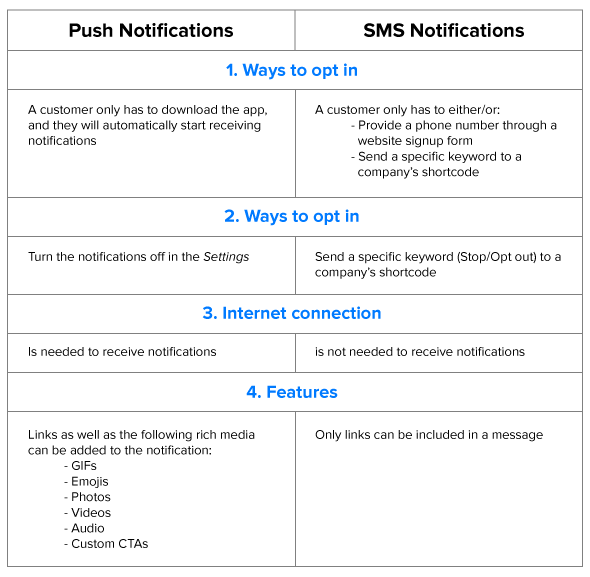 2 What are push notifications used for? A mobile push notification is a message that pops up on the mobile device that contains the app through which the message is sent. They can be sent at any time, like a broadcast message, or scheduled to be sent later, and the user does not have to be using the app at the time to get the message; it comes through just as an SMS would come through. Push notifications can accomplish many things which we’ll dig into in a bit. For example, they can provide the latest sports scores, get the person to take some kind of action like downloading a coupon, or they can notify the user about an event, such as an upcoming sale. They look like SMS text messages, but they only reach people who have installed your app, and agreed to get messages from you. Users are required to opt in to receive push notifications, so be sure to compile a solid strategy (scroll down) as to what users can look forward to, which must be enticing enough to make your users agree to receive these notifications. 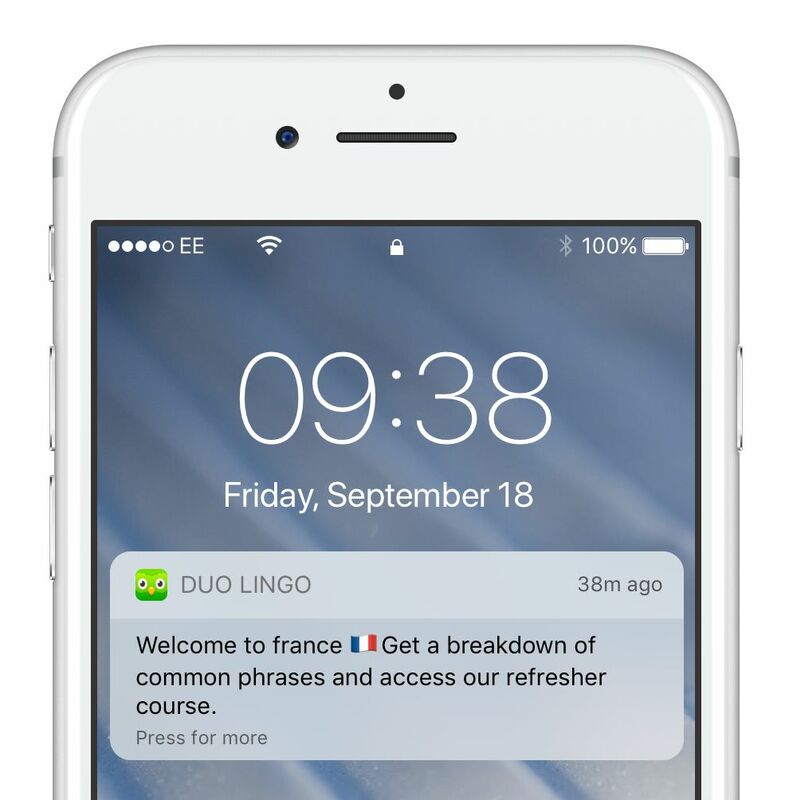 Example of a push notification by Duo Lingo, an application that teaches languages. Welcome new app users and reinforce the benefits of using the app. Maximise the onboarding process, to get users to complete their profile, add details, and so on. Entice users back to your app when they have not used it for a while. Get users to update information. Send a thank you for purchase, or happy birthday message. Use push notifications to get feedback or interaction from users in the form or ratings, reviews and surveys to continually improve the service experience or your products/services. Request feedback about a recently purchased product, or service experience. Ask them to rate the app. Welcome those who sign up for your loyalty program. Use loyalty program lifecycle messaging, such as how many loyalty points they’ve earned, how many to go until…, invite a friend and get x amount of points…etc. Showing a weekly or monthly product or service. It’s a good idea to personalise these. Let users know about the weekly/monthly newsletter you’ll be sending to their email address and to watch out for it. Something of value to app users; you should have an idea of what that could be based on their desire to install your app, or even better, by getting them to complete a form so that you can personalise what you send to them. When a customer is within a certain distance of your physical location, send a notification. Restaurants can say, “while you’re in the area, pop in for some tea”, or a retail store could say, “come in now and get 25% off your purchase”. Event wayfinding; like “quickest exit is B2”. Reminders not to forget something, like a webinar, sale, registration, or some other action they need to take. Status update on a customer support ticket. Your app is either what your business is based on, or you created it as part of a broader marketing strategy for your business. Use other ideas listed in this article. App users get sneak previews of new products or services and what’s on sale. Combine push notifications with other communication methods, like email marketing and social media. Like a broadcast message, it’s a simple, once-off notification that is sent immediately to all users, or those in certain locations. Use it for one-day sales, specials or announcements. Set up messages to be sent at a certain time, or on a particular day. These can be sent to users in a defined location. Create recurring notifications that are sent at a scheduled day and time. Set a message that is sent when a user enters or leaves a certain location. 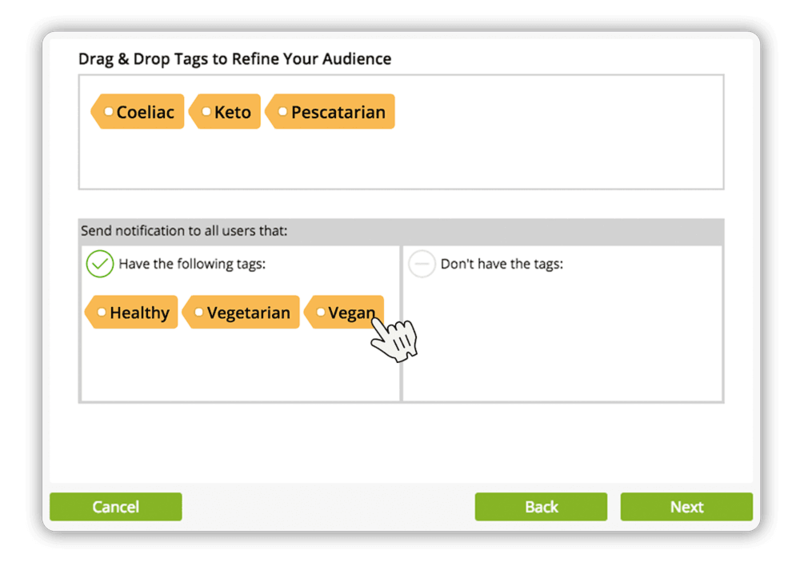 When you assign tags to users, you can use targeted push notifications based on interests, likes, dislikes, and so on. There are no shortages of digital communication channels. But some are better for certain things than others. Why use push notifications when you can use SMS, or email? SMS: the global open rate is 94%. Push notifications: difficult to list numbers because each type of push notification has a different success rate. For example, geo-targeted (location based) notifications have the best conversion rate. Also, according to Localyitics, personalised push notifications are a must, winning an open rate of 8.8%..
Push notifications open rate by industry. 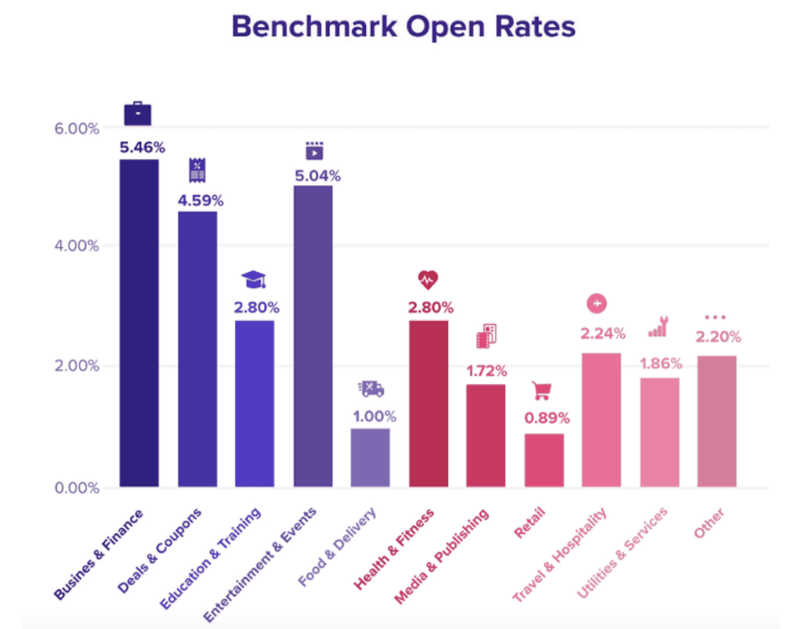 Email: Smart Insights reports the average open rate percentage across all industries is 24.79%. From this, you can see that push notifications need the internet to be received, and can be media rich, as opposed to SMS, which doesn’t require the internet to be received, and can only include links. To convey information that users need to save or reference later, because once the message is swiped off-screen, or notifications are cleared, the message disappears. To promote third parties because that becomes too intrusive. Become more intimate with your customers by using more personal, informal text. Sending information that is of interest to the user, which is based on details provided by the user when downloading the app. So what’s the answer? Why use push notifications when you can use SMS? For marketing purposes you would ideally use them both, as well as email, but for different purposes. To obtain the best results, be sure to segment your messages, no matter the channel, based on the interests of your users. When mobile app push notifications are used correctly, they have the power to keep your brand and customer connected. Use them incorrectly and your customer is likely to ditch your app. Because most people only use about 30 apps a month, you have to make sure one of those is yours. You do that by a) building an app that is useful to your customers, and b) retaining your app users with a smart strategy. Which leads us to this point: the greatest goal of push notifications are to keep users engaged with your app. When you provide high value notifications, your app will enjoy increased retention rates. Get customers to perform an action. Get users to interact even if they haven’t opened the app in a while. Obtain approximately double the conversion rates than email. Keep in touch with your users. Understand user behaviour; providing information about your ideal audience. Make your brand more “human”, relevant and relational. Push notifications work well as one of a combination of channels used to communicate with users. They don’t cost as much as SMS messages. They can be personalised around behaviour and demographics. Firstly, how do we define “effective” push notifications? Push notifications should be part of a carefully thought out and planned marketing strategy, because their primary purpose is to retain the interest of people who install your app, so that they keep using it. Any other goal is secondary, because you can’t make sales from an app people are not using. Now, if your app does not really provide value, is too difficult to use, or is filled with ads that make it difficult to use, no matter how good your push notifications are, people will ditch. So there’s that. The foundation for effective push notifications is primarily a useful app. After that, push notifications need to be sent out often enough, but not too much, and they have to add value to the user. How do you add value to an app user? Well, you should already have a good idea of their interests if they downloaded your mobile app, but to optimise any other communication to them, get users to complete a form that will furnish you with the information you need. This way, push notifications you send are based on their interests and therefore high value because they are all about what’s important to the person. The sweet spot then, is to achieve your goals while giving your app users what they desire. When you want users to take some kind of action, make it super easy for them to do so. Get in the head of your user and make everything simple. Providing links they can click on instead of needing to find something themselves. Taking them where you want them to be, be it in the app, on your website and so on. Mobile Marketer reports that targeted and personalised push notifications can drive an increase of open rates by up to 800%. How can you use targeting and personalisation? 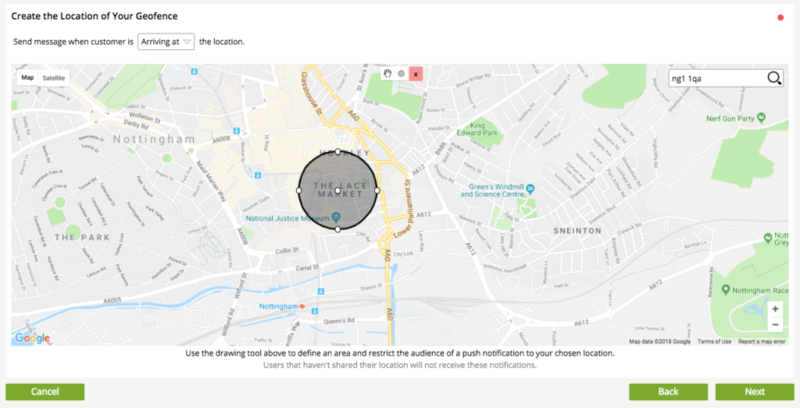 Geo-fencing technology for geographical-based messages (send push notifications to app users who are in a certain area). Segment your audience according to gender, age, interests, and so on. Using their name in messages. AppInstitute offer a sophisticated, easy-to-use segmenting feature in our app builder. Segment app users for a dramatically higher engagement rate. When a user opens a push notification, they are sent to the app, but if the push notification is too long, some of it may get cut off, rendering the message useless. To make sure this doesn’t happen, use as few words as possible when crafting your message. It is for this reason that the shorter the message, the more effective it is. How many words should you aim for? 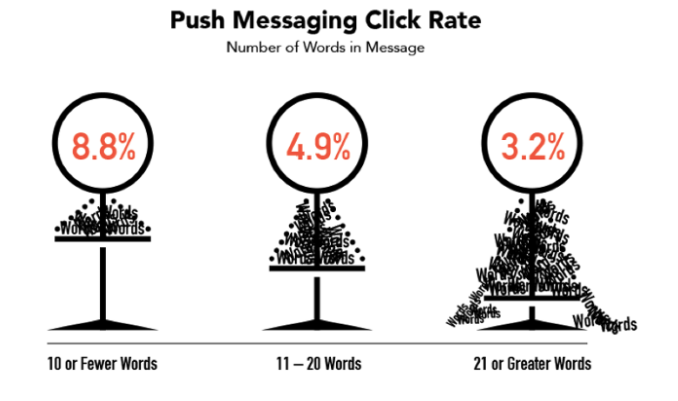 Neil Patel recommends 10 or fewer words for a higher click rate. The shorter the amount of words, the higher the click rate. Your push notification may be perfect in every way, but if you send it at the wrong time, it won’t be opened. Take into consideration what you message is about, and which time would be the most logical choice for users to get it. A study by CleverTap shows these hours to be the best times for sending push notifications: between 07h00 and 08h00 and between 10h00 – 14h00. You may also have success between midnight and 01h00! 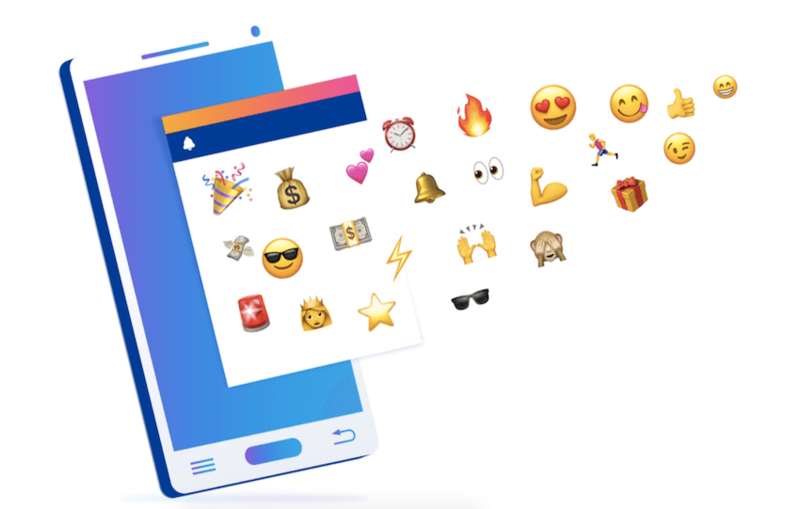 Push notifications work best when they show the human side of your business, so when they include emojis, you can expect a lift in click-through rates, even up to a whopping 70%! These 25 emojis get the best click-through rates in push notifications. Writing the perfect push notification is not easy, especially because it has to be short. It requires copywriting skills of creativity and persuasion, and at the same time, needs to be clear and focused. People are bombarded with brand messages; they know how painful it can be to opt in to anything. When they opt in to receive push notifications from you, consider it an honor, because they are trusting that you won’t annoy them. Use your power wisely. If your messages become irritating, the user has the option to simply mute them, and it’s not likely they’ll ever turn it back on again. However, having said that, you also can’t use them too infrequently, or you lose engagement and it will negatively impact your app retention rate. In fact, Urban Airship has found that 95% of new app users who have opted in to push notifications ditch apps in the first 90 days if they don’t get any push notifications. 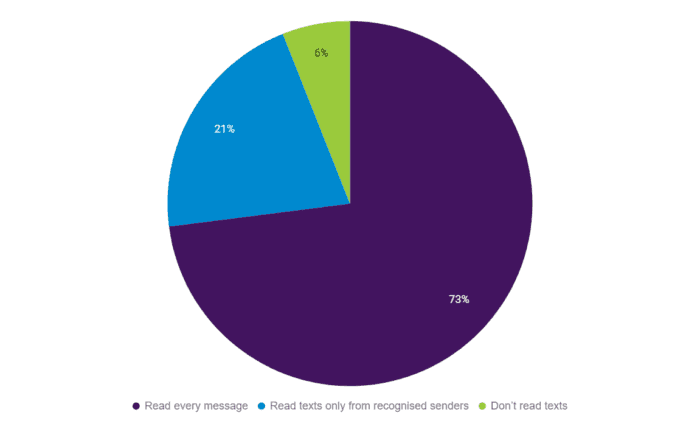 So, how often should you be sending them messages? Once or twice a week, but…since they have to be relevant and add value, it is absolutely essential that you plan them, so be sure to create a push notification strategy before you start sending messages willy-nilly. You’ve got all the facts about what makes push notifications effective, but how do you go about building an effective strategy? Way easier said than done, because each industry, business and app varies, so there’s no “one size fits all” method. The app map is like the skeleton of your entire app; it’s a document that details exactly how the app works, and the flow that users take. 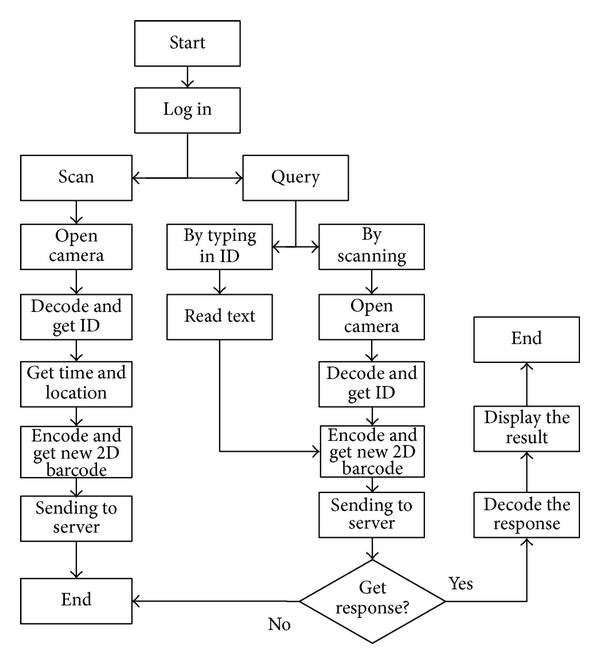 An example of a app process flow. To create this flow, simply use a Microsoft Word or Google Doc equivalent, or a tool like LucidChart, and map out the process, including triggers of “if this happens, that happens”. You built an app for a specific purpose, so remember to keep that in mind. List those purposes on paper. Now consider how push notifications must meet those purposes. Remember that push notifications need to be the sweet spot between your business or app’s objectives, as well as the user’s objectives. How can push notifications support the sweet spot? Are there relevant moments for which you want to send out push notifications? Special days? Sales? Days like thanksgiving, Christmas and so on? Jot down those dates. Goal: what must the notification achieve? Triggers: must it fire from a trigger? Timing: is it scheduled, recurring or once-off? Link: is there a place the user must be taken to? Emoji: should an emoji be included, and if so, which one? Date to send: add a date to each notification, being careful to send 1 – 2 a week. Take into account your overall business and marketing strategy and how each notification fits into those. Now consider number 5: if the user must be taken somewhere in the app, is there a screen for it? If not, build it so it’s ready for when the push notification is sent. Something else to consider: if you want to segment and personalise push notifications, you have to first get users to complete a form, so once you’ve built your strategy, compile a form that will obtain the information you need for segmentation and personalising. While developing a mobile app is a smart idea, it has to add value to the user, or it will be ditched like a hot potato. And so too is it with push notifications: they are powerful mediums of communication and engagement, but only when done right. 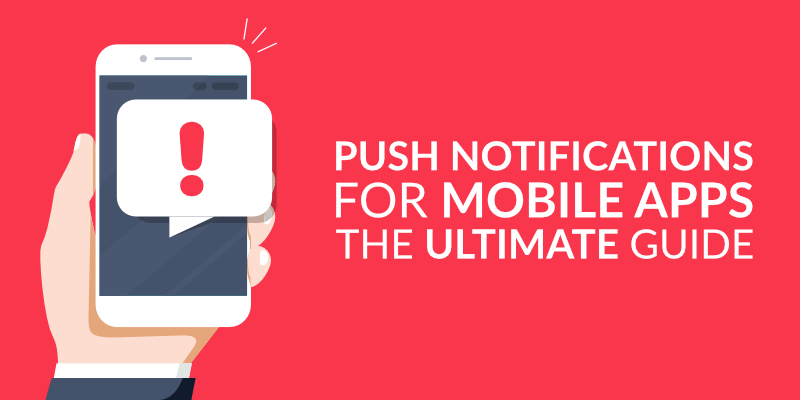 Hopefully now that you’ve worked through this ultimate guide, you will have a better idea of the power of the mobile app push notification function and how to use it to retain customers and build a better business.